If there’s one thing we associate with Amsterdam, it’s rowdy stag weekends. Amsterdam may not be short of speakeasy-style bars, but you’ve seen nothing yet. 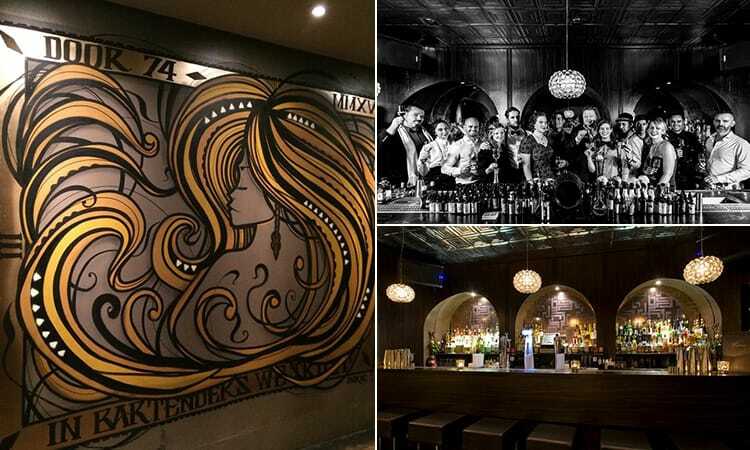 Set behind an unassuming door (number 74…), this is rated amongst the World’s Best Bars. It has all of the requisites of a bar today; antique barware, dark wood, dimly-lit interior and seriously smart staff. However, as this is so posh and sophisticated, a reservation is necessary. You must also ‘behave like gentlemen and ladies’, but that’s not a problem for you lot on a stag do… You’ll have to keep that mantra in mind, as the bar’s primary focus is booze. They offer delicious ale, premium spirits and top quality cocktails – such as the intimidating White Zombie Doctor. We’ll leave that one for you to try. Welcome to the Outback… and the beer does flow. 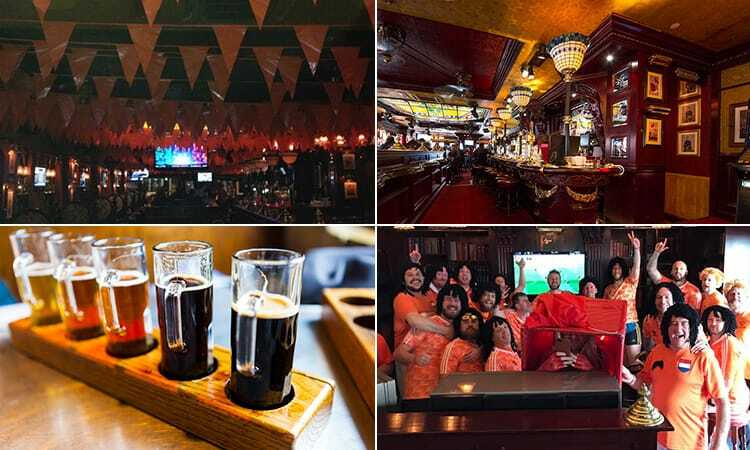 Coco’s Outback is the only Australian pub in Amsterdam; a real Aussie haven for sports and booze fans alike. It’s set right in the middle of this buzzing square – renowned for staying up late – and has been serving up beer and banter for years. This place features all major sporting events on one of the 30 screens, and is rated as the top rugby and footy pub in the capital. 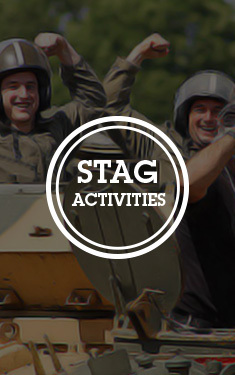 It’s fully equipped for your stag do, with pool, darts, comfort food and drinks. It’s even got another bar in the back, indoor and outdoor seating, over 10 types of beer from Down Under and an open fire pit. 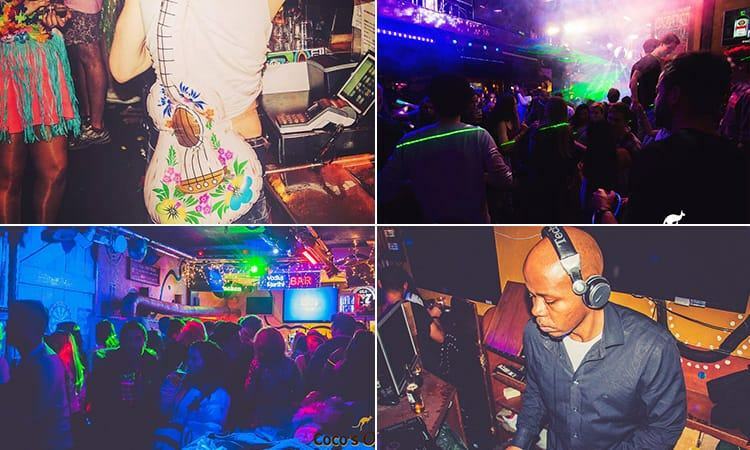 Perhaps, stay away from that after a few pints… Coco’s Outback gets rowdy towards the end of the night, boasting the best DJs, and it’s one of the only venues you can dance on the tables. Get a taste for Guinness in the Dutch capital. As strange as that may sound, Amsterdam has seen a recent boom in Irish pubs, and this is one of the newest and finest in Rembrandtplein. So named after the home of Ireland’s most famous export, it serves daily Irish specials, as well as the ever-classic Guinness – right in the middle of the busy square. The pub is decked out in authentic, Emerald-isle style, with a cosy and warm bar, exposed dark wood and seriously spacious seating. You’ve also got live matches to watch on the big screen and enjoy a bit of down time on your lively stag do. 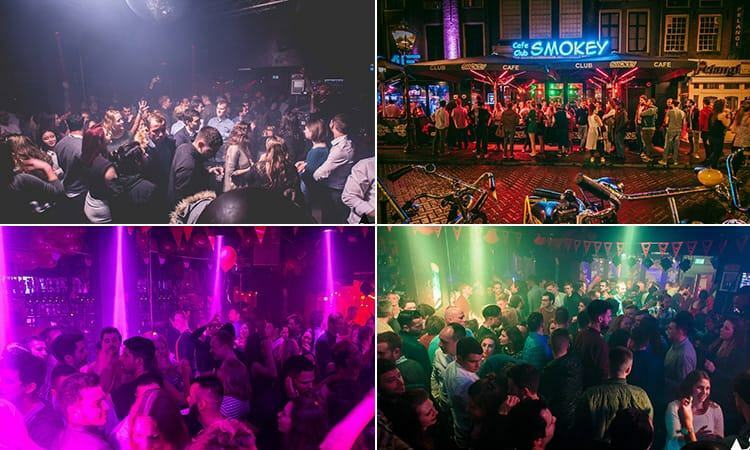 Experience the atmosphere of Club Smokey. The Three Sisters is one of Amsterdam’s most welcoming pubs. 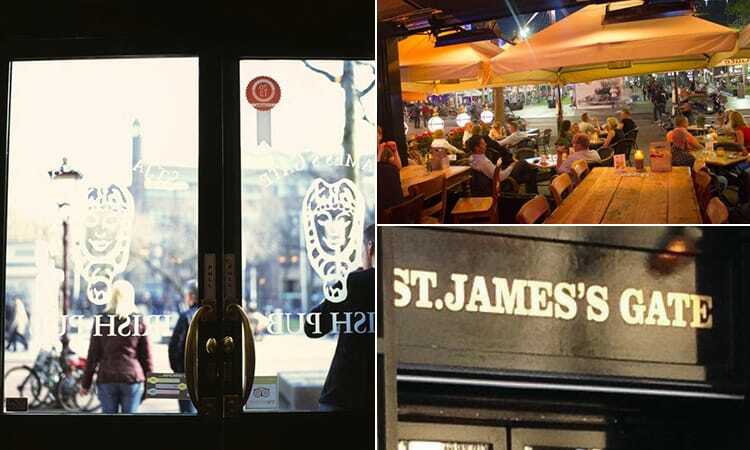 The traditionally English pub is in the heart of Rembrandtplein – an area famed for its lively and upmarket nightlife. The pub is packed full of cosy Chesterfield sofas and lazy seats, and has a large terrace to sink into and check out the buzz of Amsterdam’s streets. But, you’re really here for the sports… and this place boasts 27 screens, displaying all of the top games for relaxing the morning after on your stag weekend. Not only that, but the kitchen opens up at 10am for some serious hangover grub. The challenge is to escape Escape after celebrating through the night…. This multi-room complex deserves the title of state-of-the-art-club, spread over five massive areas. Although it may be stretched across each one, it does not compromise on size. 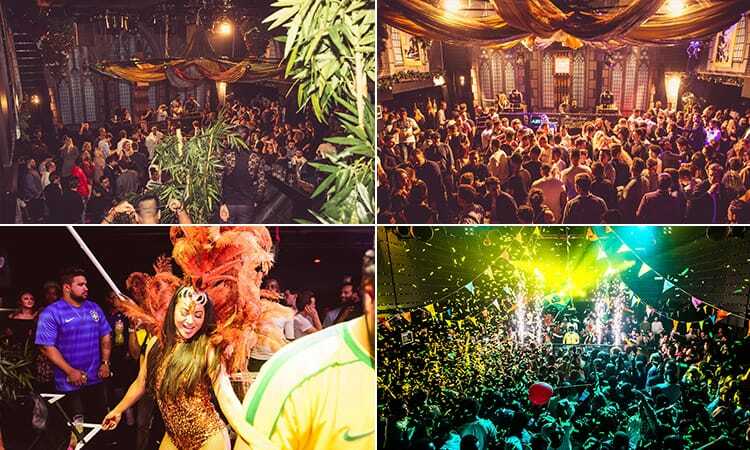 Escape is made up of the main hall – host to all of the big events and likes of David Guetta – and Escape deLux. This club in a club is a VIP experience like no other. You’ve also got the lively Escape Studio and Escape Caffe just next door. There’s a theme with cafes in Amsterdam… The commercial also club plays the likes of 80s, 90s, hip, RnB and electro. 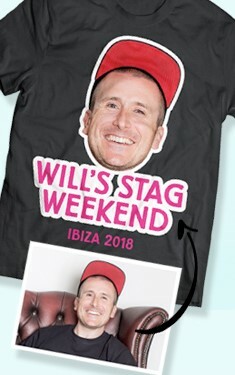 Float on air on your stag do. Air is the sort of club Amsterdam is famous for. It’s a slick, state-of-the-art dance and house venue. Designed by Marcel Wanders, a world-renowned Dutch designer, this place is like a futuristic film. It boasts impressive Void sound systems, features LED walls lined with lights and a video projection screen, as well as cool, neon lights. 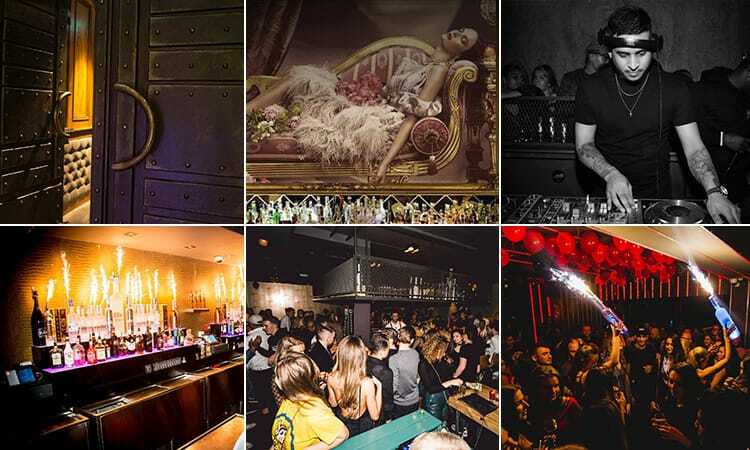 The club is divided into three epic areas, with a capacity for 1300, and the biggest room is a sizeable space – hosting underground and commercial DJs. By that, we mean Tiesto, Skrillex, Damian Lazarus and the Martinez Brothers. The other two are more intimate rooms, with five bars. ABE is dedicated to the nights of the past. Inspired and named after a former 19th century banker, Abraham Carel Wertheim, this place is set in a grand bank. Paying homage to its history, the club wouldn’t look out of place in The Great Gatsby. It lies behind vaulted iron doors, with VIP booths tucked behind bars and gold corridors, as well as a decorative gold staircase. It’s packed full of Amsterdam’s most sophisticated crowd (you lot…) and is unbelievably smart. The lounge area is even modified with gold leaf, alongside historic paintings looking down from the wall. This is the coolest (…) bar in the whole of Amsterdam. 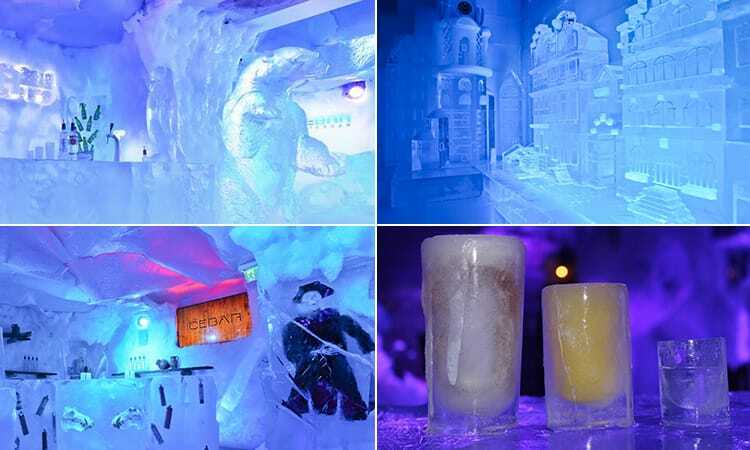 Chill out amongst the ice wreck of a ship, based on the life of a Dutch explorer. It’s packed full of 60 ton of natural ice, spread across two bars. You’ve got to conquer the hardship of the extreme cold and make like an Inuit on your stag do. And, there’s no respite from the ice, as even the furniture and walls are made of the stuff. Also, those drinks you’ll be supping; served in an ice glass. However, you will be kept warm in the -10 degrees Celsius bar… as thermal coats and gloves are provided. There’s nothing like freezing cold temperatures to cure a hangover. After this bar crawl, we can assume Amsterdam is the only option for your stag do - and you can place a quote through our stag weekends page. You can find out even more info on Amsterdam's legendary nightlife before you fly over. We've got you covered.